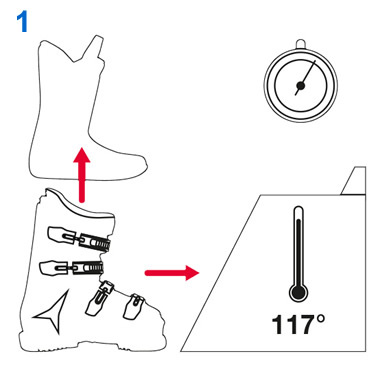 With the help of thermo forming we can individually fit the skiboot to your foot. The whole process will take 30 to 40 minutes, a cup of coffee is complementary. Skiboots just have to fit right! The reasons for an ill fitting boot can have many causes. It can be a wide forefoot or a high instep, it can also be the inner or outer ankle bone, or your shin bone. Because of our experience and our possibility of individual forming we can promise you a skiboot, which will fit you perfectly. If you are still not happy, we will exchange your purchased boots. Analysing of your foot. Our scanner will give us information about lenght, width, heel with and shoe size. Selection of the skiboot. 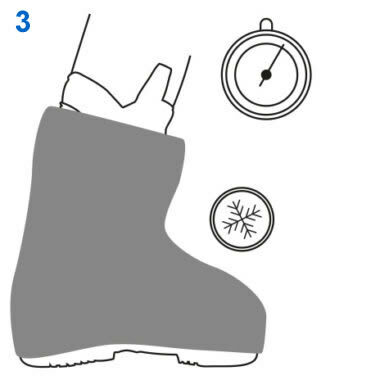 The data will be used to choose the right type of boot. Heating of the shell and the inner boot. 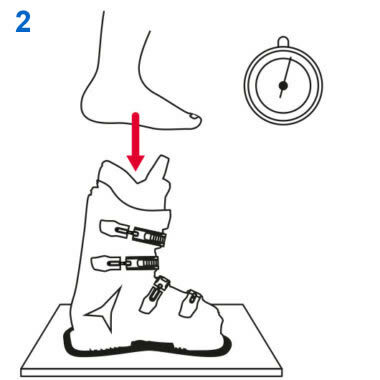 They will be fitted exactly to your foot trough thermo forming of the outer shell and the inner boot. All done – ready for skiing!